Our intrepid reporter investigated DrupalCon and returned with lots of interviews. Here in the real world of measuring website performance, there are practical steps to producing acceptable results. It's official: geeks are the new rock stars. Here is one aspirant's journey from garage-band obscurity to the tippy-top of the tippy-top. Our farmischt freelancer constructs a step-by-step guide to landing that Drupal job and keeping the client happily signing paychecks. Drupal 8 may not be released until Winter 2015. Meanwhile, there is REST for the weary; a simple, effective technique for leveraging the RESTful module in Drupal 7. 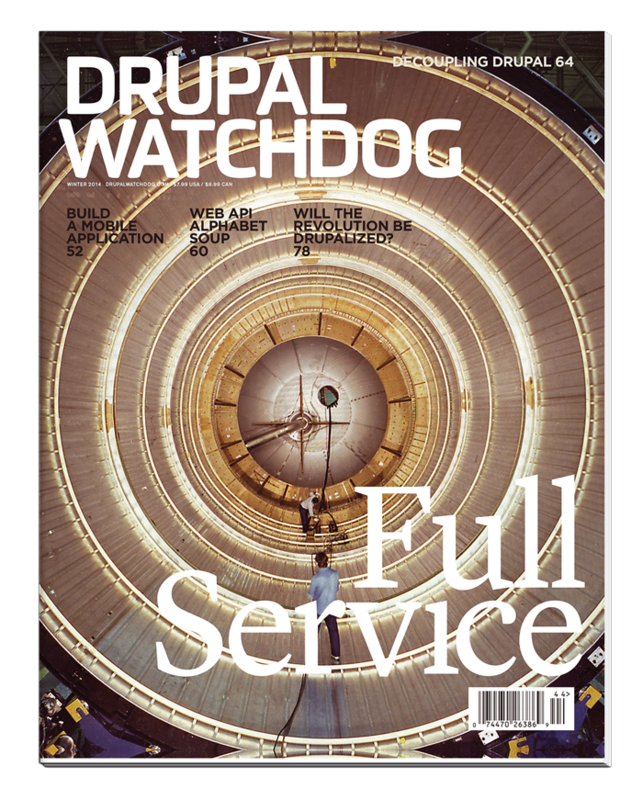 From Drupal's populist, humble beginnings to providing the web's largest, most popular commercial websites: Will Drupal soon be just a tool of the 1%? Aliases and makefiles are your universal gizmos in this fourth installment of the Drush Trilogy. Create simple entry forms, quickly map complex Drupal structures, and shuttle data to and fro--for fun and profit. Drupal 8 may not be ready... Oh right, we said that. Okay, so meanwhile, you want speed, you want beauty, you want passion that leaps off the screen. Here are two great methods for exposing your views components as JSON.